I don’t know how DeAndre Brackensick lost the American Idol Season 11 win. Don’t. Know. How! Seriously – listen to his relaxed, spontaneous, meticulous vocal of Pretty Wings (featured below this article) and then you decide if American Idol dropped the ball with this unbelievably gifted and charismatic young artist. Not only does he have a uniquely soulful sound, but his look and demeanor are so distinct, his performing style riveting to watch. He moves seamlessly and effortlessly from head voice to full voice up, down and sideways throughout his range. DeAndre is noted for his incredible ability to vocalize with his head voice, which he does so beautifully in this number. However, in this song, he gives us glimpses into the resounding strength of his full tenor voice, which is is equally beautiful. And, toward the end of this number, he takes a dip in to his lower range – perfectly intonated and projected. Why? Because he carries the head voice element throughout every part of his range, which results in an even, perfectly centered and resonant vocal timbre throughout this jazzy, soulful melodic line. You can still download some of DeAndre’s American Idol performances, such as Master Blaster (iTunes Link), I Like It (iTunes Link), Sometimes I Cry ( ITunes Link), Only The Good Die Young (iTunes Link) and Endless Love (iTunes Link) on iTunes. I couldn’t find any other links to singles or albums post-Idol or I would have happily shared them with you. 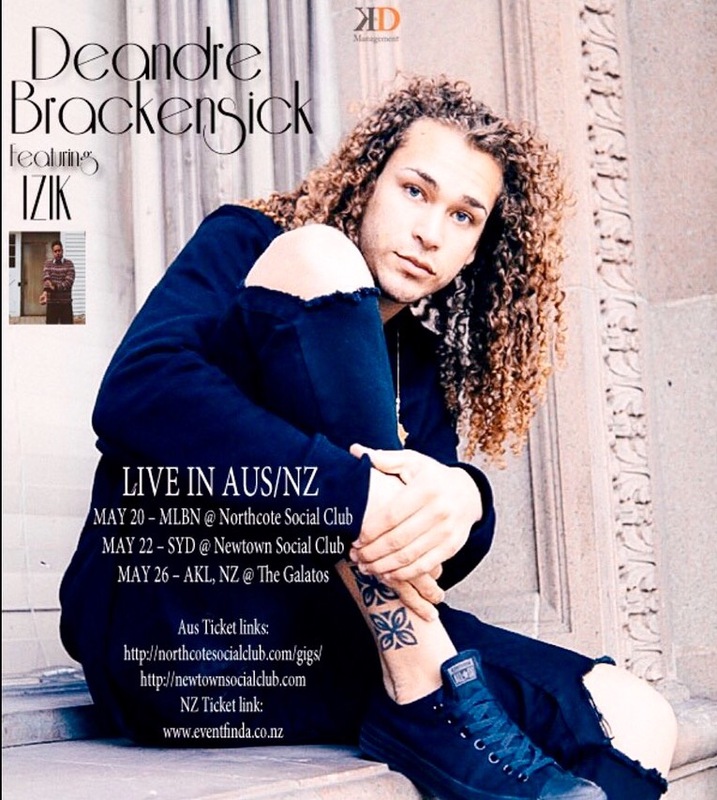 DeAndre is presently preparing for some more sold-out shows in Melbourne, Sydney and Auckland Australia in May after the resounding success of his shows there in 2015. He is living the dream and enjoying continued success, using his American Idol platform as a basis for building a successful career in this crazy music business. I wish him the best and will continue to follow this dynamic and prodigious performer. American Idol–still has–despite the ‘nonsense’–a vast amount of goodwill with both the public and performers. There is talk it will return. I’m glad you can express with your technical knowledge what I’ve felt about DeAndre’s voice for years! You’re right he should have gone much farther on Idol. I’ve been an avid fan of his since then and have been following his growth. He keeps getting better and better. Personally I see DeAndre as a singer who doesn’t sing in hopes of being famous but rather sings because he loves to sing. He’s a very humble guy which makes you want to root for him even more! Thanks for the kind words for my favorite singer!